In our last article on Climbing Ethics, I discussed grading in the rock climbing community and how it got started, how it is determined, and how important (or to some, not important) it really is. In this part of the grading article continued, we are going to open up a world of controversy, involving downgrading, grade inflation, and how the pros react to an ever changing climbing world. Now, unlike the previous article, this particular feature doesn’t focus on the grade controversies of your local gym or disagreeing about the newly downgrade problem that you had sent and are angrily looking for the reasonings behind such a decision. This is about the big dogs; the Grahams, the Woods, the Ondras of the world and how their power, not only in their strengths, but the power of their influence upon the world of climbing. There are hundred of examples that we can discuss over the past decade during the peak development of bouldering and sport climbing but we are going to go over some of the highlights and the most talked about. I’m sure there are a great deal of you who have climbed at a great deal of different climbing locations. 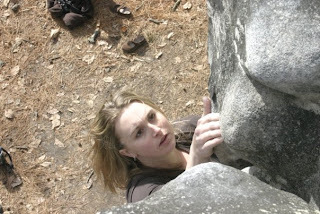 Being that I am primarily a boulderer, my experiences with grade inflation are only subject to one aspect of climbing and are only from the comparison of the places that I have climbed. But a lot of this came about originally because of where climbing started. If you read the previous article, you would see that grades have changed tremendously with the growing popularity of the sport, and, because grades were determined in different developed areas of climbing by several different people, they’re all different. This is where grade inflation and the beginning of our discussion of downgrading begins. Grade inflation (and this is best official definition that I can come up with since I can’t find one stated by a rock master like Fred Nicole) occurs when an area or a person collectively grades harder in comparison to other areas, or other routes. Many times this is due to grade-driven first ascents, huge egos, and an overall desire to impress sponsors and inflate their scorecards on 8a, but this can happen from crag to crag, or even from gym to gym. Because a grade is a subjective, comparative opinion, any first acensionist or head routesetter can take it upon their own to determine what the grade it. But this great power does come with great responsibility... and a lot of criticism depending how “fair” your grading is. Because climbing is such a small community, there have been many blog wars and Facebook banter when one climber disagrees with another on a particular grade. While some of these arguments seem warranted, others leave with a sour taste in their mouth, and perhaps event a black mark on their name. I encourage reading the rest of this article as Dave says it best. However, there were those that didn't necessarily agree with Dave's point of view. The Story of Two Worlds would remain unrepeated until 2010 when Dai Koyamada would claim the second ascent (although soon after he was told he did not start in the correct spot, and would later return to do it again). In an interview with DPM, Koyamada, who of course was questioned regarding his opinions on Dave's statement, commented,"There are many people who are trapped into 'grading' so much that they are making climbing rather constrained and uneasy. That's very unfortunate...Proposing grades and stating one's thinking should be free. But I think it's wrong to say you have to climb this problem in order to claim having climbed the grade or to be qualified to have done the first ascent of this grade or higher. World is full of strong climbers. But I think it's useful in that you can confirm where you are and/or grades of certain FAs by climbing the 'baseline'." This problem has seen more sends now, as the "standard" of climbers is always ever-rising. Some have followed Dave's path, changing their perspective of the meaning of 8C and other have held steadfast to their beliefs, but nonetheless, this route is considered one of the most difficult and benchmark problems in the world. 「The Story of Two Worlds low start V16」 from project_daihold on Vimeo. Here is also an amazing perspective of grade inflation from Nalle Hukkataival, who touches specifically on Switzerland and strongly backs Graham on his opinions. "This is an interesting boulder. The hype around the climb made it out to be the “hardest” thing in the world and people began to believe it even if it was not. The green 45 was an infamous project and now is getting repeated like crazy. 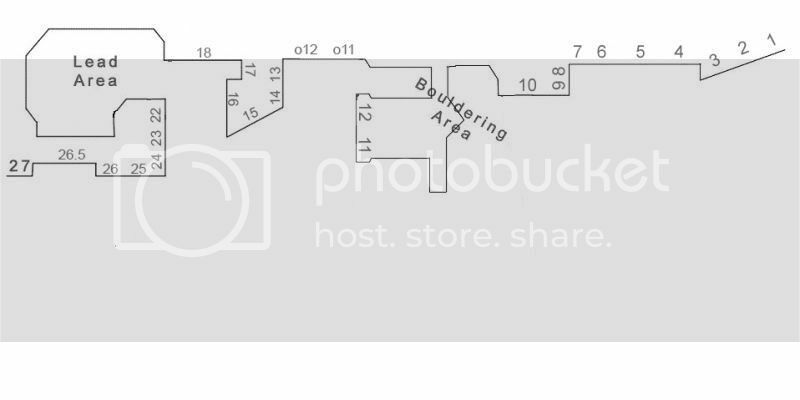 I think we all kind of built it up in our heads and maybe that was one reason that the line never was considered to be 8b+ for the longest time.... Rethinking the line it is 8b+. It is just so condition/skin dependent that it is really hard to assign a grade to this boulder... So considering the swarm is now 8b this is very easily a solid 8b+ crimper boulder." Traversi also had some interesting, but open ended thoughts about the problem's grade after the footage of his send in this video from DPM. Beware: there are a handful of F-Bombs, but only after the disclaimer. Carlo Traversi Sends Jade V14 from DPM CLIMBING on Vimeo. So, Carlo brings up a lot of thoughts from our last grading article. If even the pros question the importance of grading, is this something that we should all reevaluate in the climbing aspect of our lives? Nonetheless this is a perfect example of, perhaps, a positive aspect of downgrading, where it seems that a collective group of opinions came to a more accurate conclusion. Downgrading occurs eventually everywhere. For me, as stupid as it was, my first V3 I had ever done outside is called Copa Cabana at Horse Pens 40. I worked it, and worked it, over a couple trips when I was in college and eventually sent it. Long overdue was a new guidebook, and when it finally came out, my dreams were crushed. V2. 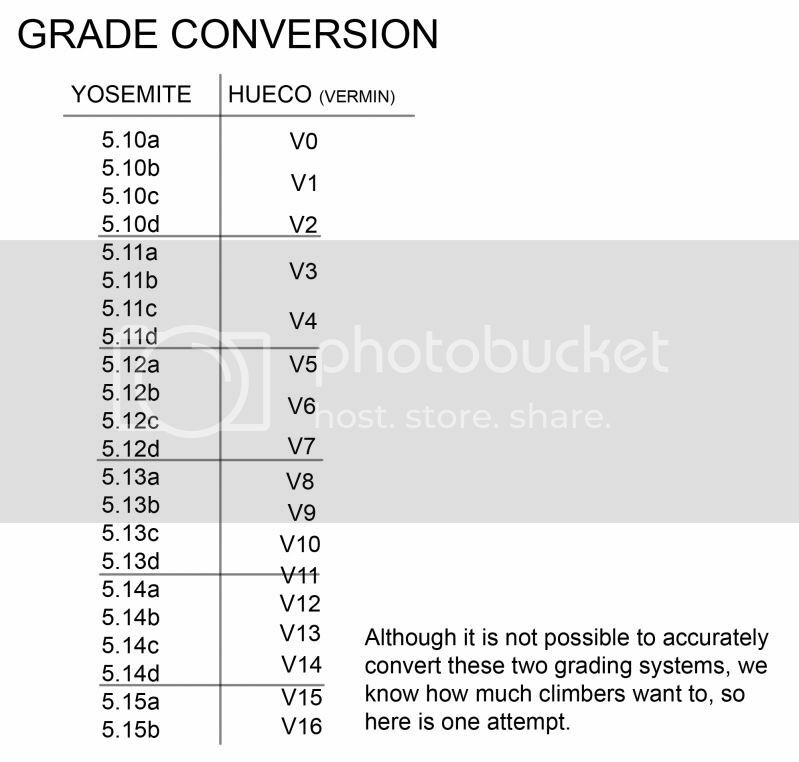 In all my frustration (as the Cave Traverse remained a laughable V3), I balanced it out with other very acceptable downgrades, such as Redneck from V7 to V6. But this frustrated a lot of southerners dedicated to their home town boulders. know (probably), I think a little grade correction is long overdue in the Red - even if it is one of my routes getting downgraded..."
This is what Adam had to say to all the grader haters in the world, a reflection of what seems to be, as it is mention many times in this article, the evolving opinion of professional climbers around the world. In summation, it looks as if the world of climbing is becoming a little more flexible when it comes to our egos. I could imagine, as a human being, if I had accomplished one of the hardest test pieces that the world had ever seen, something that I was so proud of, and then someone's opinion was that it wasn't as hard as I thought... Well you'd be a little defensive too. The "Grade Chasers" (which some people consider a derogatory term, but sorry, some of you only want the grade) have created a bit of hard knocks. What determines the strength or even the worth of a climber? Their highest grade? The amount of sends? How many sponsors they have? I guess that's up to you, readers, to decide. But the more weight we put on these factors, the more up and coming athletes are going to seek the number and desensitize their climbing passion. But what do I know? I chase V5. Stay tuned for more Climbing Ethics! I have no idea what's next! Thanks for taking more time and effort to make this site more interesting to all reader especially for me. Love the blog very cool!